Home » Author Posts » A or N is available. Looks like we finally wrestled the Amazon monster to the ground. No, I’m not talking about Wonder Woman and Snoo Snoo. 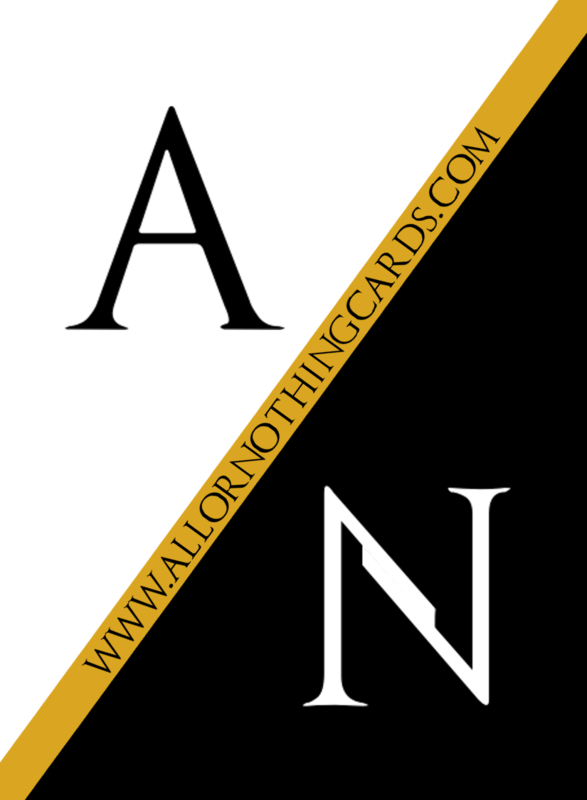 All or Nothing on Amazon. A preview. But not if you dislike spoilers. So I submitted this to BoardGameGeek. I also added Damon Alan as designer and artist, but you were not previously on the website. I’ll order my first copy this Friday. Nice job dude.